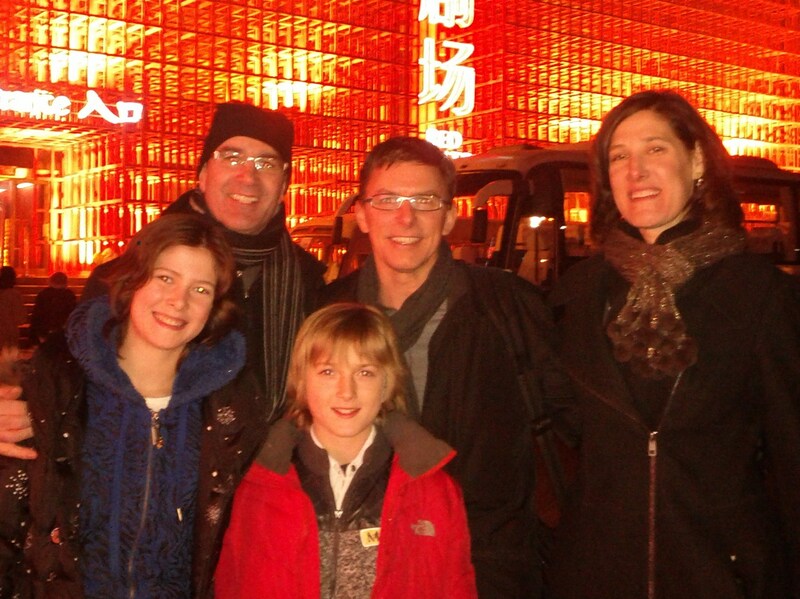 On January 12th, 2012, we had a Seattle friend who was Max’s soccer coach, Brook Wessel, visiting Beijing for a business trip. We got together for dinner and a Kung Fu Acrobatics Show. Meeting up with Brook in Beijing. It was great to catch up with Brook and hear about his family and our neighborhood of Queen Anne. 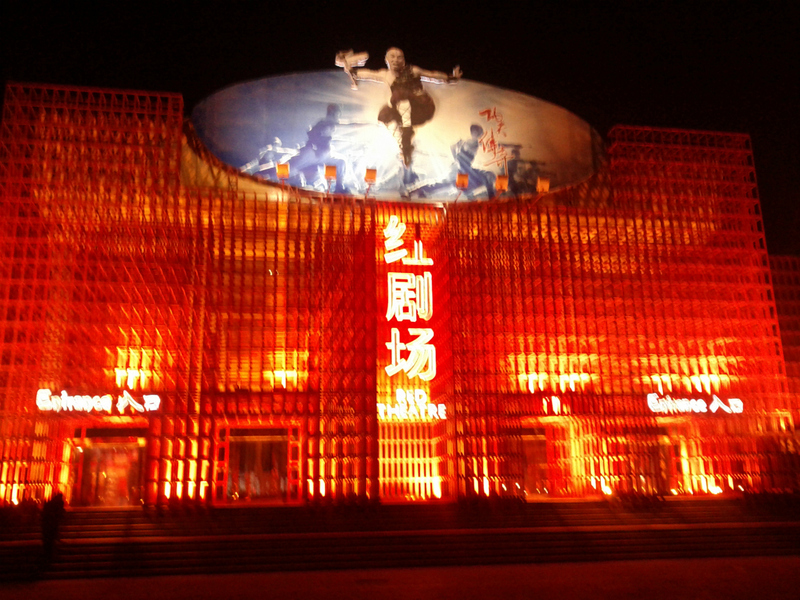 The Kung Fu show was at the Red Theatre. 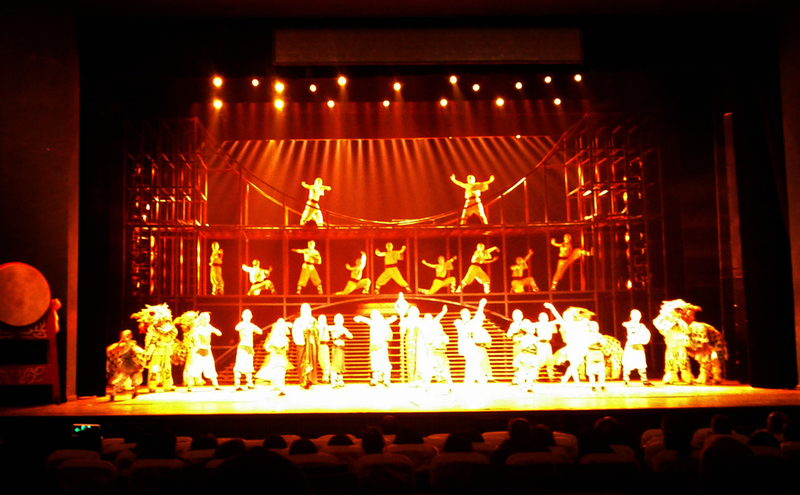 It was a great performance. The story was of a young boy learning Kung fu and becoming a man which was told in English and Chinese. 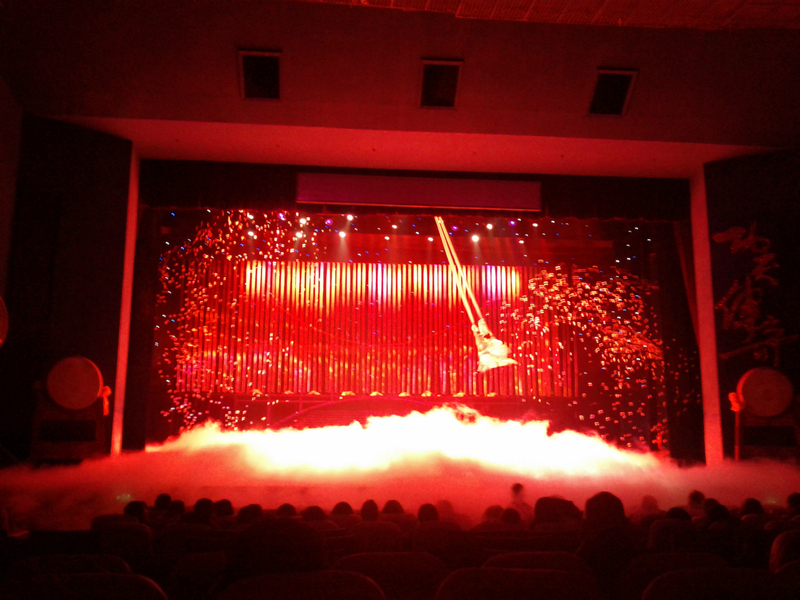 Acrobatists performing with thousands of bubbles and swinging above a fog. This entry was posted in Uncategorized by skatsoolis. Bookmark the permalink.